Introduction: At the conclusion of Skaldskaparmál Snorri Sturluson has a versified list of the names of female trolls. It might be thought to lie somewhere between the catalogue of the Æsir and the list of parts of the ship that may be used metonymically to represent the ship as a whole, that is, they may qualify as the “real” names of supernatural beings or, more abstractly, stand as “typical” names for such monstrous supernatural females. A recent article by Thomas D. Hill, “Perchta the Belly Slitter and Án hrísmagi: Laxdæla saga cap. 48-49,” raises a number of pertinent questions that can rewardingly be posed of the list as a whole. 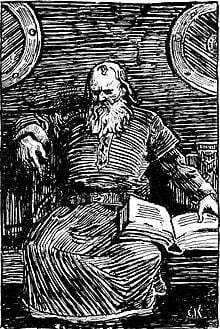 The list by Snorri or incorporated in his work, reproduced here in an appendix, comes after comparable lists of the names of legendary sea-kings, the names of—or for—giants, and is followed by a brief list of bynames for Þórr and then the names of the Æsir. These lists are an important part of the skaldic tool kit and are introduced by Snorri’s comments on word-play—homonymity—and the substitution of metonyms or homologues for more common words in poetry. Thus, what the pun achieves on the level of sound, the substitute word does on the semantic level, with mechanics rather similar to the metaphor. In practice, any of a woman’s domestic tasks could be used to characterize her, the part for the whole, while a reference to a giant or giants, or their attributes, environments, such as mountains, could be erected on any giant name, in a substitution not of a part for the whole but of the specific for the general. These practices and Snorri’s lists are then an enormous resource for a poetics in which alliteration, assonance, internal rhyme and the like and, as importantly, allusion, indirection, metaphor are key elements.